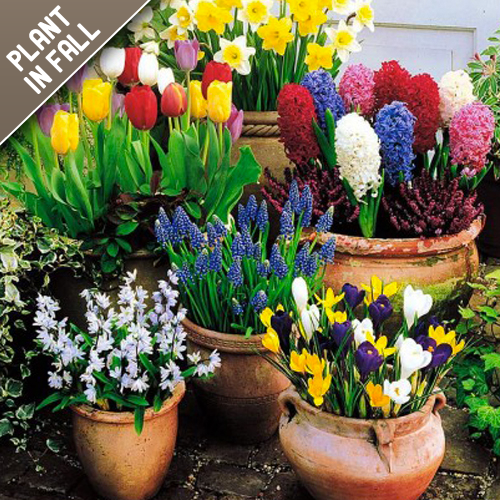 A beautiful, sun loving collection of flowers to bloom through the Spring. 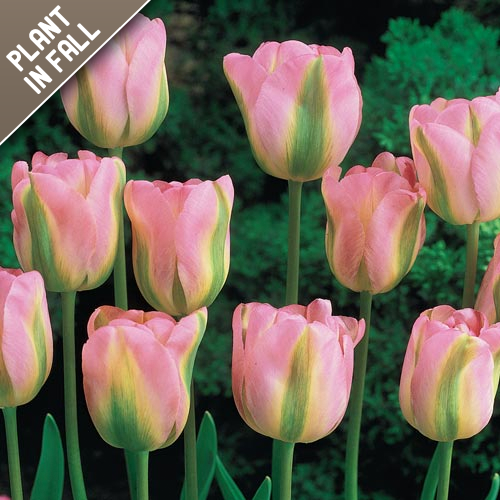 5 Daffodil Fortissimo, 5 ..
One of Holland's most beautiful tulips. 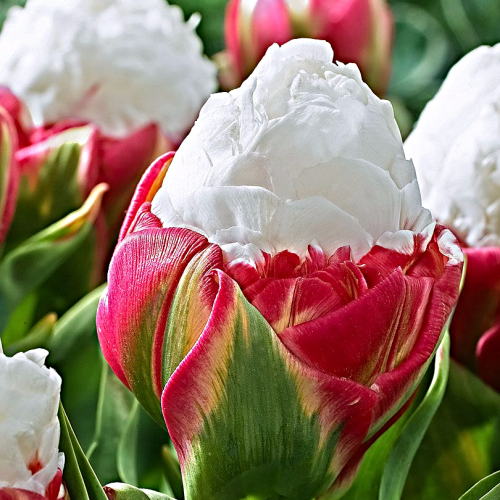 The petals are a combination of rosy-pink petals held by eme..
One of the most distinctive tulips you will see this beautiful tulip has large creamy white petals a.. 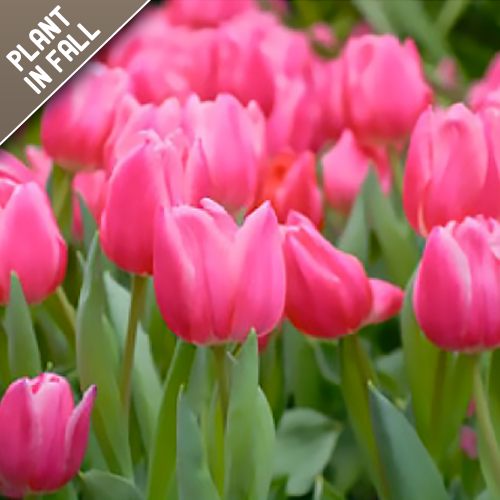 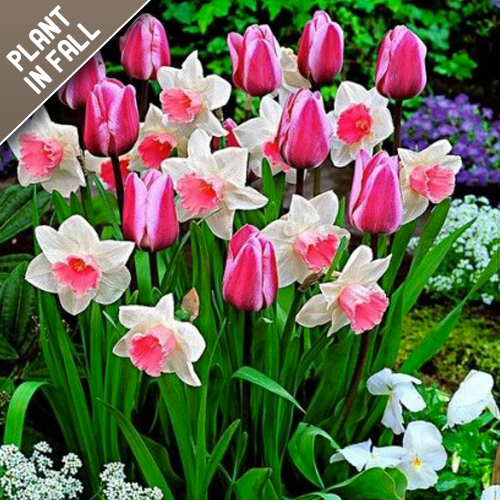 Your garden will dazzle with 8 beautiful pink tulips and 12 pink daffodils. 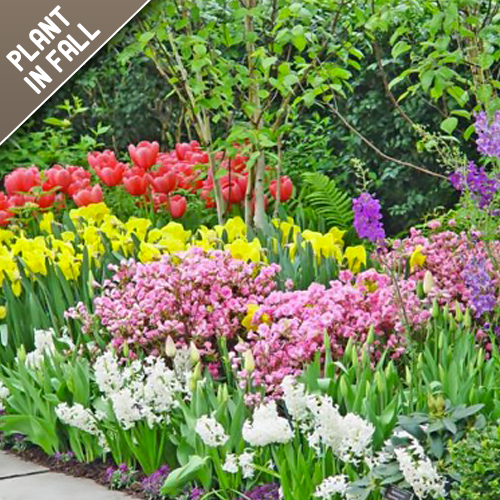 This mix will pack a pun.. 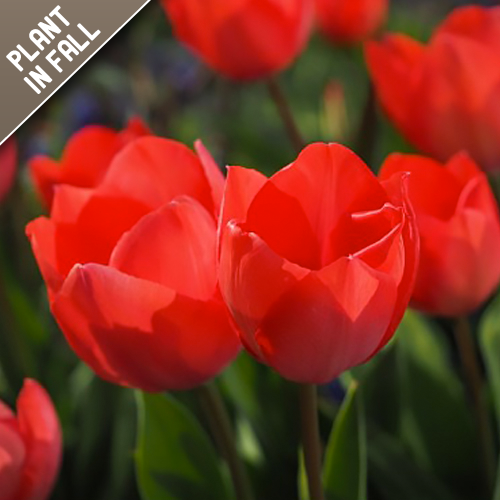 Bright, vibrant, red in color these beautiful tulip flowers bloom from mid to late spring, make quit.. 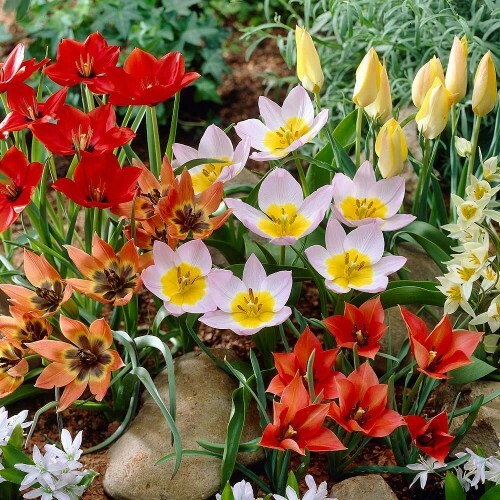 These early Spring mix of Tulips, Daffodils, Botanical Crocus and Lavender Mountain Lilies will brin..
Add a touch of class to any garden with this all white flower bulb collection. 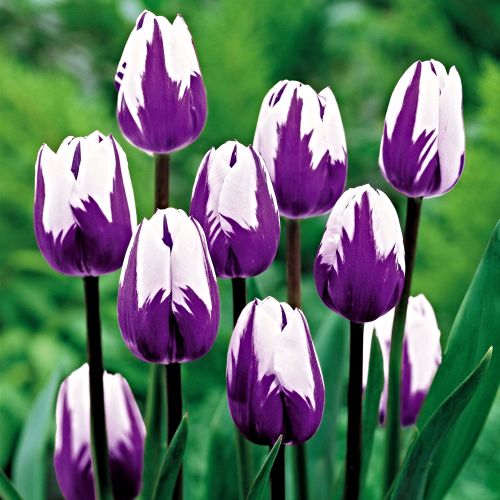 Perfect as a stand al..
Give your garden a professional designer look by planting Blueberry Tulips in its midst. 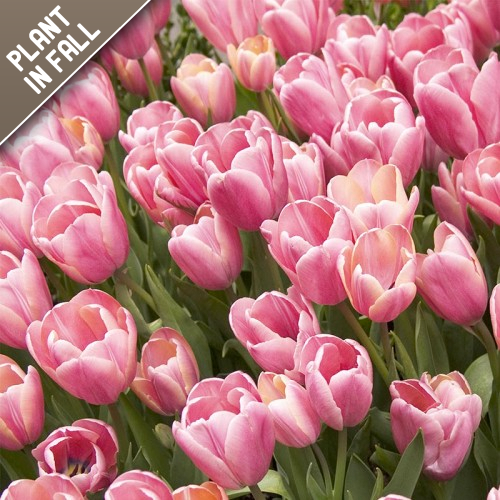 Sophisticat..
Guarenteed to make the inner kid in you smile! 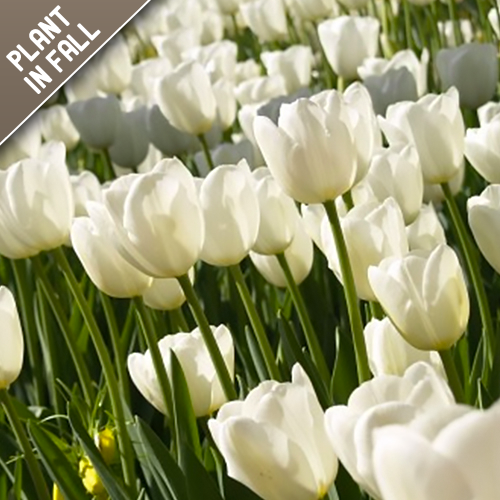 These white petals are closely mounded against one an.. 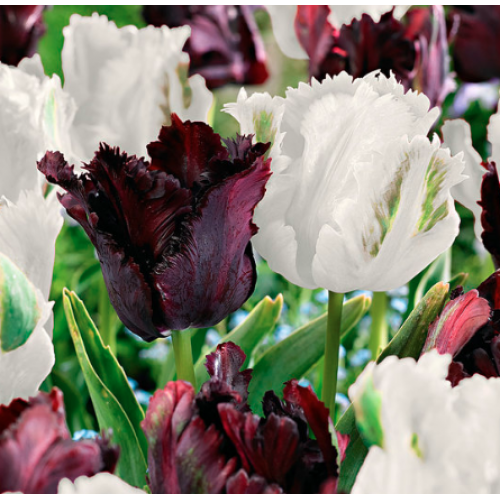 Double Late Tulips are one of the most famous and photographed Tulips in the world. 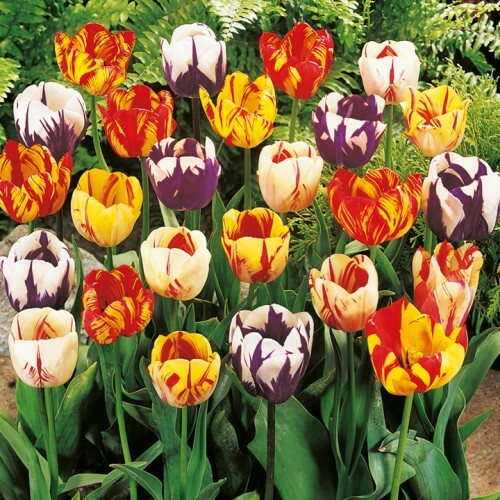 These flowers ha.. 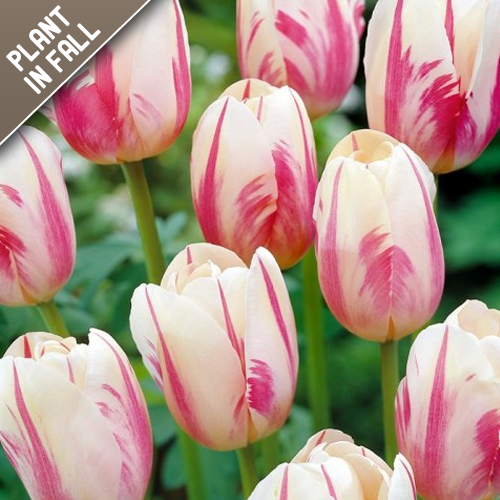 This botanical or species tulip is truly a beauty! 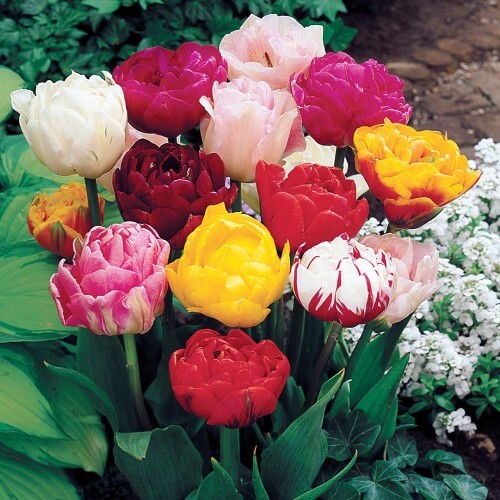 Botanical Ground Cover Tulips are like a little r..